In ancient Rome on July 7th, the Feria Ancillarum or Festival of Handmaids was held. This was the maids’ day out, when the maids of Rome were beyond the control of their mistresses. Also known as the Caprotinae, when free and slave women made offerings to her beneath wild fig trees outside Rome’s city limits, this feast day was in honor of Juno Caprotina, Juno of the Wild Figs. Fig trees were venerated, with feasting beneath them in honor of Caprotina, an aspect of the Goddess Juno. In this aspect of the goddess, Juno is seen as dressed in goatskins and driving a chariot pulled by goats. Enslaved women made up a large proportion of her devotees. Combine all the ingredients except for the tomatoes and flowers. Slice tomatoes and arrange them, overlapping, around the edge of a serving platter. Mound the cucumber mixture in the center of the platter, just covering the inner edge of the tomatoes. 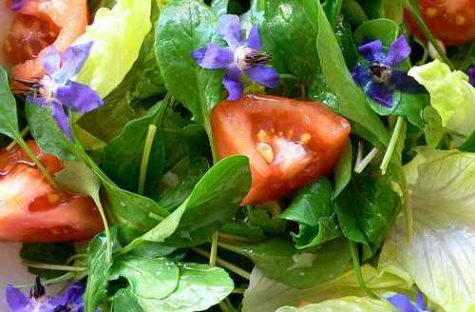 Chill well, and place the borage flowers decoratively on the salad just before serving. In the English region of East Anglia, those who continue to follow the ancient ways believe that June 29 is the prime day of the year to harvest herbs for healing use. For the highest quality, herbs should be harvested before the Sun gets too high in the sky. The heat of the Sun will evaporate the essential oil from the herbs, so picking earlier in the day (like by 10:30am) ensures that the highest amount of oils will still be present within them. When getting plants from the wild, respect the area and plant you are harvesting, never strip a plant bare, never pull it out by the roots to get a few leaves and I always check to see that there are other plants of the same species around and its not some rare almost extinct plant. Also be very sure that the plant you are about to pick is what you think it is, Mother Nature can be very tricky sometimes, and 2 seemingly identical plants can have very different effects when ingested. It is best to ask permission of the plant before taking it’s bounty, and remember, respect, respect, respect! Transporting your herbs must be done carefully to retain their valuable powers. It’s best to take an open-topped basket or cotton bag with you and some layers of tissue so that herbs can be transported dry and safe back to home, it is pointless seeking out a special plant, than sticking it into a carrier bag in your pocket so it sweats, bruises and it unidentifiable mush by the time you get home. It is best not to harvest any herbs that have been growing close to the road as the leaves take in the carbon monoxide and poisonous fumes given out by the traffic and take it down into the plant to the root where it becomes stored. Do not pick wild herbs and plants from verges or thoroughfares as this contravenes several laws and also the fact that most areas like these are open to our friendly dog and cat population. If harvesting wild plants leave a large amount of flowers, seed and root as the plant population of that area will very quickly die out if you go in mob-handed and wrench up the only two plants for miles around. Vidovdan (St. Vitus Day) is one of the important religious holidays for the Serbs. It’s annually observed on 28 June (Gregorian Calendar), or 15 June according to the Julian calendar, in use by the Serbian Orthodox Church to venerate St. Vitus. It is an important part of Serb ethnic and Serbian national identity. 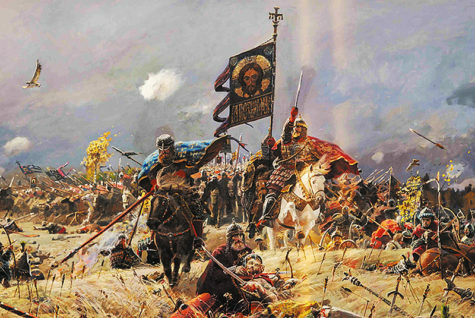 Observation of this feast is connected with the Battle of Kosovo in 1389. According to the Serbian Orthodox tradition, the Serbian national identity was founded on the day, when the Ottoman Empire defeated Serbia in the Battle of Kosovo and slew prince Lazar. Ruling sultan of the Ottoman Empire was killed on the same day by Serbian knight Miloš Obilić. Serbs consider Vidovdan a very important day, that is why many historic events in Serbia took place on June 28, for instance, signing of the Treaty of Versailles (1919), proclamation of Serbian constitution (1921), Slobodan Milošević’s deportation to the International Criminal Tribunal, etc. There are no reliable facts about existence of Saint Vitus. According to Christian legend, Vitus was the son of Roman senator from Sicily. He converted to Christianity under influence of his mentor. Satin Vitus died as a martyr during the persecution of Christians by Roman Emperors Diocletian and Maximian. Vitus is considered the patron saint of actors, comedians, dancers, and epileptics, similarly to Genesius of Rome. He is also said to protect against lightning strikes, animal attacks and oversleeping. The Fête de la Saint-Jean-Baptiste, held annually on June 24, is the feast day of St John the Baptist, a Jewish preacher who according to the Christian tradition, baptized Jesus in the River Jordan. 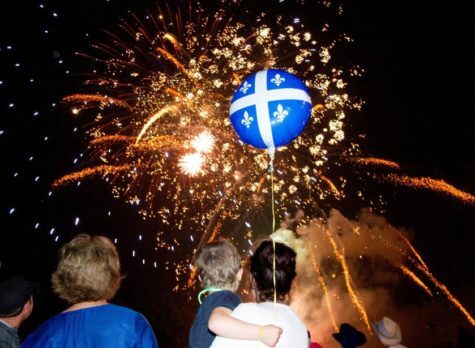 It is a day of celebration in Quebec and other areas of French Canada. 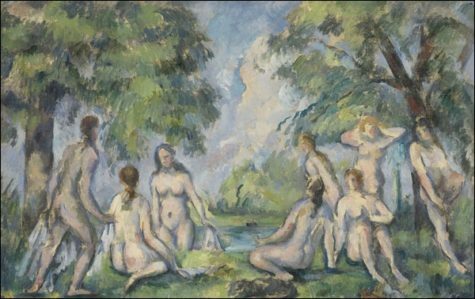 The feast day of Saint John the Baptist or Midsummer was a very popular event in the Ancien Régime of France, and it is still celebrated as a religious feast day in several countries, like Denmark, Norway, Sweden, Finland, Estonia, Spain, Latvia and Lithuania. This is a historical, cultural, national and religious holiday. It is observed by Quebecers, French Canadians, French Americans. Celebrations include parades, bonfires, fireworks, feasting, drinking, musical concerts, flag waving, patriotic speeches, and contests. The flag of Quebec and the fleurs-de-lis are widespread symbols of Saint Jean Baptiste Day. Many people choose to wear blue or white clothing to the celebrations. The fleurs-de-lis represents the flower of an iris or a lily. The fleurs-de-lis is also associated with the Virgin Mary and her purity. It was a symbol of French speaking people and their kings after King Clovis I converted to Christianity in the year 493. It was taken from the papal seal or coat-of-arms when the king converted, to symbolize the strength and significance of the French nation in its union with the Papal state. Quebec’s flag is one-and-a half times as wide as it is high and has a blue background. The background is divided into four rectangles by a cross and each of the four rectangles contains a single white fleurs-de-lis. Various events are organized on Saint Jean Baptiste Day. These range from large scale public celebrations, such as rock and jazz concerts, sports tournaments, parades and firework displays, to small family or neighborhood happenings, such as yard sales, picnics, barbecues, bonfires and children’s entertainment. Many church bells ring in celebration and public dances and fun fairs are held. Some events may be held on the evening of June 23 and many are broadcast live on television, radio or on the Internet. The celebrations are coordinated by the Mouvement national des Québécoises et des Québécois. Saint Jean Baptiste Day is a public holiday in the Canadian province of Quebec. Post offices and many stores are closed. Public transport services run to a reduced schedule in some places or may not run at all in other areas, such as the province’s rural regions. If June 24 falls on a Sunday, the same day is a paid day off for those who work on Sunday. June 25 becomes a paid day off for workers who do not ordinarily work on Sunday. In ancient times, the summer solstice was honored around June 21. Midsummer festivals, such as those linked with the June solstice, were held in Europe for thousands of years. In the fifth century, Christianity spread through France. When people converted to Christianity, elements of these festivals were combined with feast days for Christian saints. June 24 – the feast day of St John was substituted for the pagan Midsummer celebrations. Traditionally, bonfires would be lit on the eve of June 24 in order to honor the saint. In France, the celebrations around the feast day of Saint John the Baptist were widely enjoyed and French colonists introduced these traditions to North America. The patriotic tone of the Saint Jean Baptiste Day celebrations began in 1834. In that year Ludger Duvernay, an influential journalist, visited the St Patrick’s Day celebrations in Montreal, and was inspired to create a similar event for French Canadians. In 1843, he established the Saint Jean Baptiste Society to promote the celebration of Saint Jean Baptiste Day. This organization was supported by the Catholic Church, which saw it as a way to promote social and moral progress. In 1908 St John the Baptist was designated as the patron Saint of Quebec, re-enforcing the connection between Saint Jean Baptiste Day and French-Canadian patriotism. The celebrations were supported by the Catholic Church and were primarily religious around that time. The lighting of bonfires, a traditional custom on the Nativity of Saint John which ultimately reached back to pre-Christian Midsummer celebrations were still lit at night. In addition, the first Saint-Jean-Baptiste parades were organized. They became an important tradition over time. The procession of allegorical floats was introduced in 1874. During and after World War I, Saint Jean Baptiste Day was barely celebrated, but in 1925 Saint Jean Baptiste Day became a provincial holiday in Quebec. After a period in the 1960s, when the structure of society in Quebec changed greatly, this holiday became very political. During the Quiet Revolution, the event took a political turn, with many riots and protests taking place. 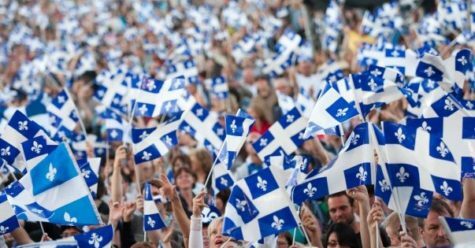 However, in 1977 Saint Jean Baptiste Day was recognized as the ‘national’ holiday of Quebec and the mood of the celebrations gradually moved towards that of the secular celebrations in modern times. By making it a statutory holiday, the day became a holiday for all Quebecers rather than only those of French-Canadian or Catholic origins. Celebrations were gradually secularized. While the religious significance of the civic celebration is gone, the day remains popularly called la St-Jean-Baptiste or simply la St-Jean and is still observed in churches. People in the western Carpathian Mountains and other parts of Romania celebrate the Sânziene holiday annually, on June 24. 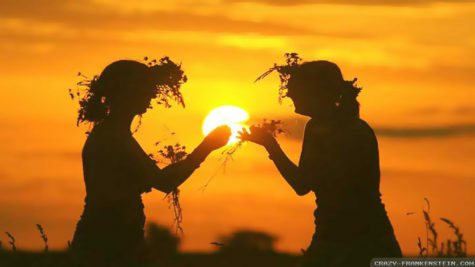 This is similar to the Swedish Midsummer holiday, and is believed to be a pagan celebration of the summer solstice in June. 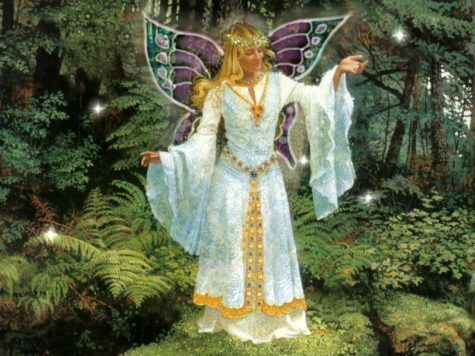 Sânziană is the Romanian name for gentle fairies who play an important part in local folklore, also used to designate the Galium verum or Cruciata laevipes flowers. Under the plural form Sânziene, the word designates an annual festival in the fairies’ honor. Etymologically, the name stands for sân (common abbreviation of sfânt – “saint”, “holy”) and zână (a word used for fairies in general). According to the official position of the Romanian Orthodox Church, the customs actually relate to the celebration of Saint John the Baptist’s Nativity, which also happens on June 24. 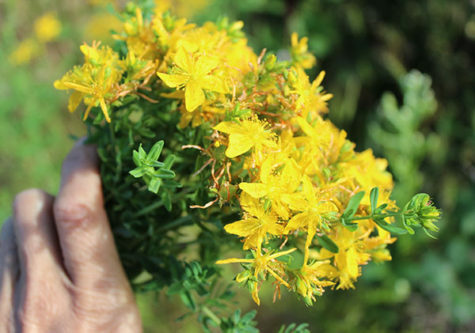 The folk practices of Sânziene imply that the most beautiful maidens in the village dress in white and spend all day searching for and picking Galium verum. They are instructed to remain alone and unseen, especially by any males. Using the flowers they picked during the day, the girls create wreaths as floral crowns which they wear upon returning to the village at nightfall. They are then supposed to have turned into sânziene fairies, and dance in circle around a bonfire, into which all remains of the previous harvest are thrown. People are prevented from speaking to the girls during this ceremony, as it is presumed that the sânziene spirits possessing them might otherwise be angered or distracted. In some regions, the girls may keep the wreaths until the following year’s Sânziene. This, they believe, ensures a fertility for their family’s land. In addition, if they place the wreath under their pillow the night right after Sânziene, it is possible that they would have a premonition of the man they are to marry (ursitul, “the fated one”). Another folk belief is that during the Sânziene night, the heavens open up, making it an adequate time for making wishes and for praying, as God is more likely to listen. In some areas of the Carpathians, the villagers then light a big wheel of hay from the ceremonial bonfire and push it down a hill. 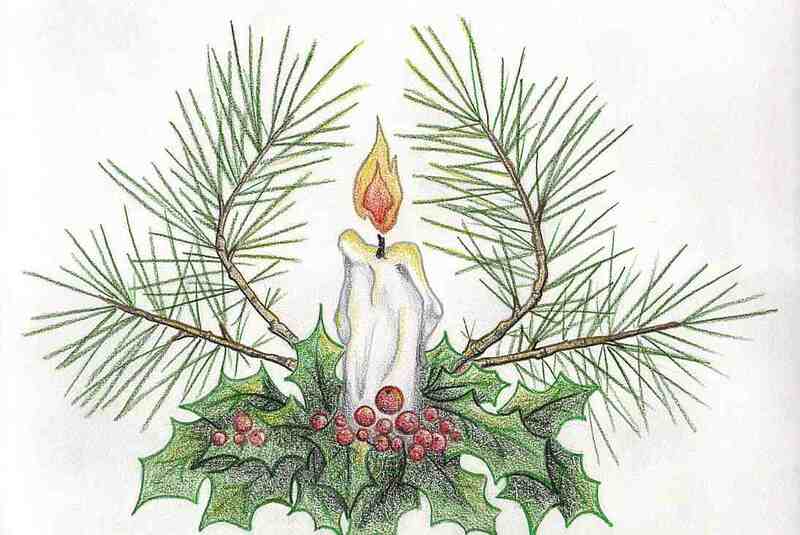 This has been interpreted as a symbol for the setting sun (from the solstice to come and until the midwinter solstice, the days will be getting shorter). In cultural reference. The consequences of heavens opening on Sânziene are connected by some to paranormal events reported during that period of each year. According to popular beliefs, strange things, both positive and negative, may happen to a person wandering alone on Sânziene night. Strange ethereal activities are believed to happen especially in places such as the Băneasa forest (near the capital of Bucharest) or the Baciu forest (near the city of Cluj-Napoca). Cancer is the fourth sign of the zodiac. The sun enters Cancer at slightly different times each year, usually around June 22, sometimes the day before or the day after. 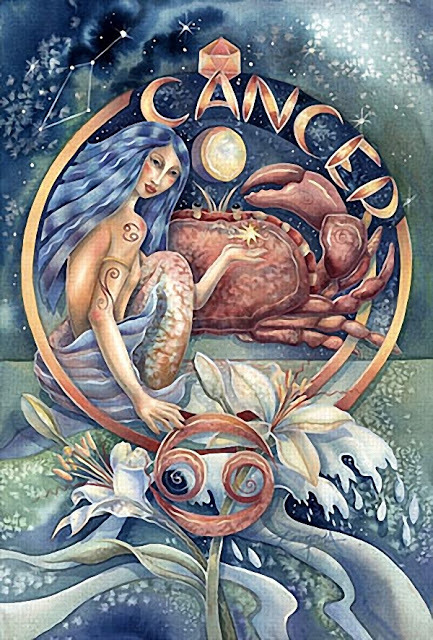 Cancer is ruled by the moon, which emphasizes the sensitive, emotional side of our natures. Cancers love the security of home and family, and enjoy the responsibility of parenthood. They enjoy buying things for their homes, and many of them build up collections of objects that appeal to them. Cancerians are loyal friends and are always willing to provide a shoulder to lean on when others need it. Cancerians are highly intuitive, and can sum people up at a glance. 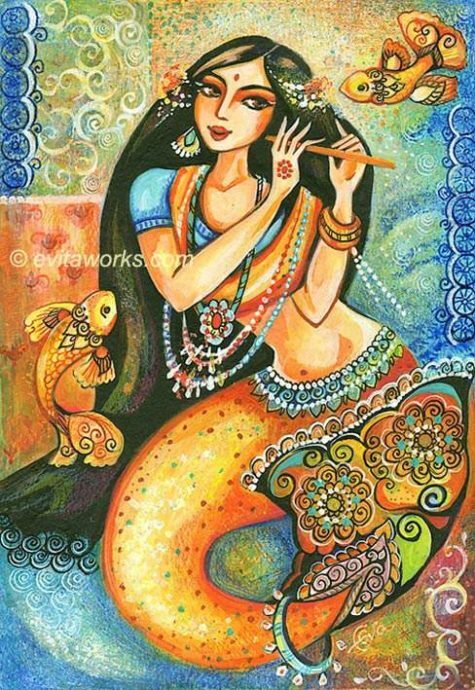 This West Indian fish mother swims in with summer rains as the bearer of fertility, family unity, prospective life mates, and other traditionally lunar energies. Shown in art looking much like a mermaid, the Lady of Regla is also the patroness of this astrological sign. 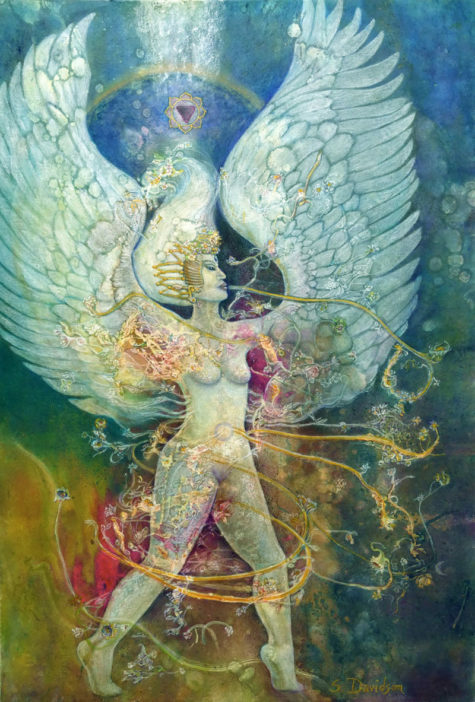 In astrology, those born under the sign of Cancer have a great deal of compassion, desire family closeness and stability, and are ruled by the moon, all of which characterize this goddess’s energies to a tee. How you emphasize those powers depends on what you need. For harmony at home, add blue highlights to your decorating scheme, and wear pale blue clothing when having difficult conversations. 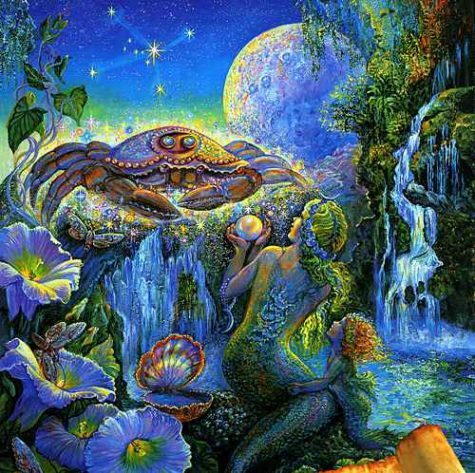 Eat fish or crab today to digest a little extra self-love or empathy, or to encourage fertility in any area of your life. To spice up this magic, serve the fish with a bit of lemon juice – a fruit that emphasizes devotion and kinship. If you’d like to dream of future loves or get the Lady of Regla’s perspective on a difficult family situation, leave her an offering of yams before going to bed. According to local custom, this invokes Regla’s favor and you will experience helpful night visions – so take notes! 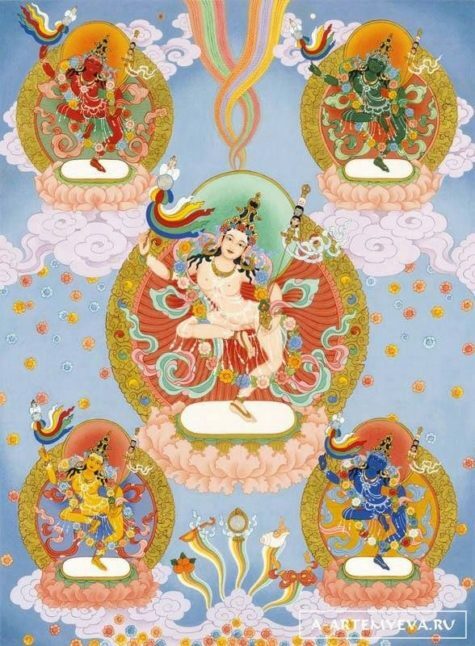 The Sun is in Cancer from June 21 to July 21, depending on the year. Attributes: gentle, conservative, feeling, nurturing, defensive, contemplative. 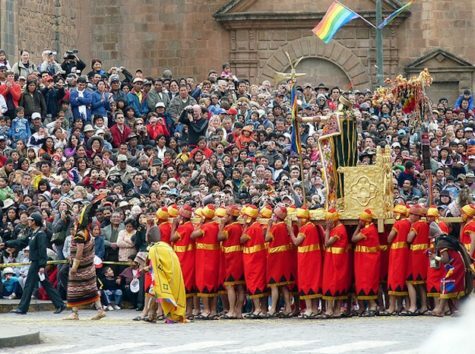 The Inti Raymi (Quechua for “sun festival”) is a religious ceremony of the Inca Empire in honor of the god Inti (Quechua for “sun”), one of the most venerated deities in Inca religion. It was the celebration of the winter solstice – the shortest day of the year in terms of the time between sunrise and sunset and the Inca New Year. In territories south of the equator the gregorian months of June and July are winter months. It is held on June 24. During the Inca Empire, the Inti Raymi was the most important of four ceremonies celebrated in Cusco. The celebration took place in the Haukaypata or the main plaza in the city. 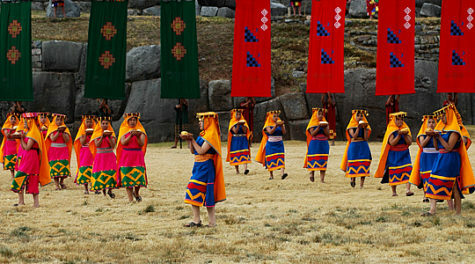 According to chronicler Garcilaso de la Vega, Sapa Inca Pachacuti created the Inti Raymi to celebrate the new year in the Andes of the Southern Hemisphere. The ceremony was also said to indicate the mythical origin of the Incas. 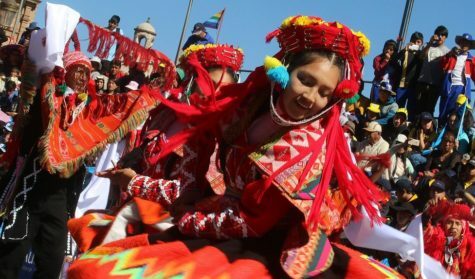 It lasted for nine days and was filled with colorful dances and processions, as well as animal sacrifices to thank Pachamama and to ensure a good cropping season. 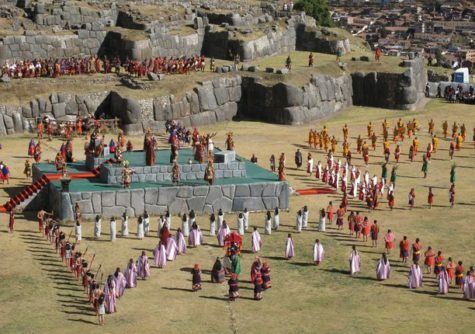 The first Inti Raymi was in 1412. The last Inti Raymi with the Inca Emperor’s presence was carried out in 1535, after which the Spanish and the Catholic priests banned it. In 1944, a historical reconstruction of the Inti Raymi was directed by Faustino Espinoza Navarro and indigenous actors. The first reconstruction was largely based on the chronicles of Garcilaso de la Vega and only referred to the religious ceremony. 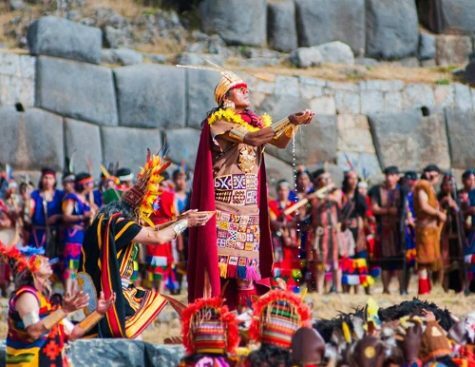 Since 1944, a theatrical representation of the Inti Raymi has been taking place at Saksaywaman, two kilometers from its original celebration in central Cusco on June 24 of each year, attracting thousands of tourists and local visitors. 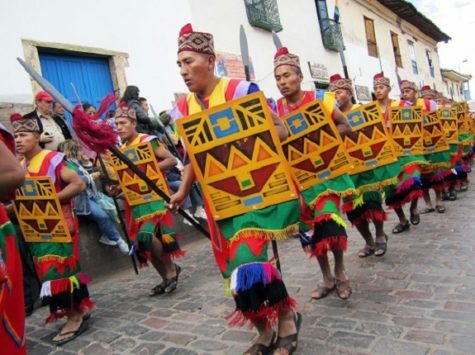 In many parts of the Andes though, this celebration has been connected to the western festivals of Saint John the Baptist, which falls on the day after the northern solstice (June 21). The celebration of Midsummer’s Eve was from ancient times linked to the summer solstice. The dates that Midsummer is celebrated vary slightly from year to year, and from country to country. In Sweden, Midsummer Day is publicly celebrated during a weekend between June 20 and 26. In other countries, it is celebrated on the date of the Summer Solstice which falls between June 20 and June 21. People believed that mid-summer plants had miraculous and healing powers and they therefore picked them on this night. Bonfires were lit to protect against evil spirits which were believed to roam freely when the sun was turning southwards again. The solstice itself has remained a special moment of the annual cycle of the year since Neolithic times. These ancient observances were not on the day as we define it – at midnight or at dawn. Instead the celebrations began on the pre-Christian beginning of the day, which falls on the previous evening.